Discover the astonishing, inspirational, and largely unknown true story of the eighteen African American athletes who competed in the 1936 Berlin Olympic Games, defying the racism of both Nazi Germany and the Jim Crow South. Set against the turbulent backdrop of a segregated United States, sixteen black men and two black women were torn between boycotting the Olympic Games in Nazi Germany or participating. After all, they were representing a country that considered them second-class citizens and would compete in a country amidst a strong undercurrent of Aryan superiority and anti-Semitism. Jesse Owens is the most recognized of the group for winning four gold medals at the Berlin Olympics. Other winners include Jackie Robinson’s brother Mack who won silver for the 200-meter race, and Cornelius Johnson, who led an American sweep in the high jump. As a companion piece to the brilliant documentary Olympic Pride, American Prejudice this book draws on over forty hours of interviews and extensive research the filmmakers obtained which did not make the final film cut. It explores key elements of the story and provides fuller context on the prospect of an Olympic boycott, the relationships between the president of the International Olympic Committee and the Nazis, the different perspectives of Jewish athletes, the NAACP and black newspapers, and details about the actual lives of the eighteen Olympians from family members’ testimonials. 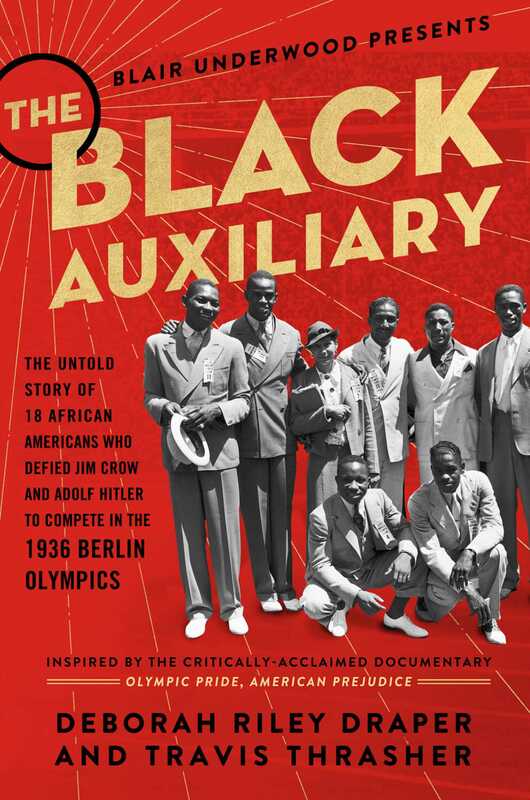 Capturing a powerful and untold piece of history, The Black Auxiliary is also a celebration of the courage, commitment, and accomplishments of these talented athletes. Deborah Riley Draper is a director and writer, known for Versailles ‘73: American Runway Revolution and Olympic Pride, American Prejudice. In 2016, Variety named her one of 10 Documakers to Watch.